Guangzhou is the bustling center of trade and commerce in south China. 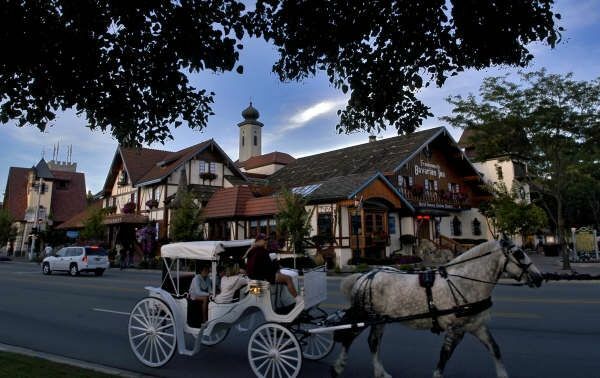 Formerly known as Canton, this destination is particularly popular among business travelers. Regardless of your reason for visiting, Guangzhou offers several stunning sights you’ll want to make time for while you’re here. The Canton Tower, also known as the Guangzhou Tower, is in the Haizhu District along the Pearl River. At nearly 2,000 feet tall, it’s impossible to miss if you’re staying in Guangzhou. The slim, elegant design of the tower earned it the nickname “Xiao Man Yao,” or “young girl with tight waist.” This is no coincidence, as the architect Mark Hemel set out to create an asymmetrical design that would put viewers in mind of a woman in motion. 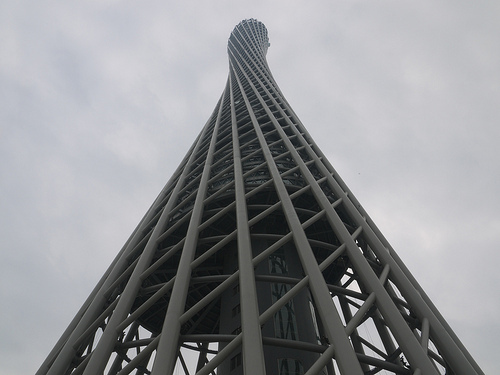 While the Canton Tower is stunning to behold from a distance, the best way to see it is up close. The tower houses several cafes, restaurants, tea houses, and observation decks. The middle zone even features outdoor gardens and a 4D theater. The Pearl River is the third longest river in China, and cuts through Guangzhou offering a sleek patch of tranquility in an otherwise bustling city. While walking the Scenery Corridor is perhaps the best known way to take in the river, an evening cruise is by far the more memorable option. 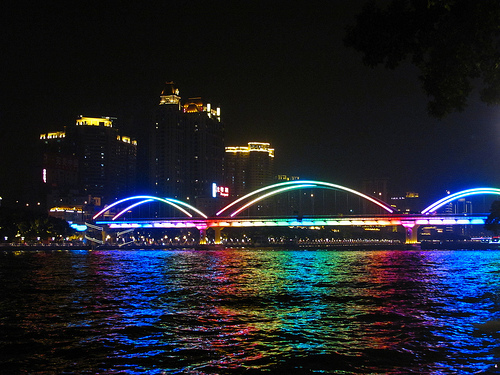 Guangzhou lights up at night and the river reflects its surroundings in a burst of color, giving it a sheen to match its moniker. Shamian Island offers a welcome retreat from the more hectic pace of life within Guangzhou. This small sandbar is just half a mile wide and less than a quarter of a mile long. 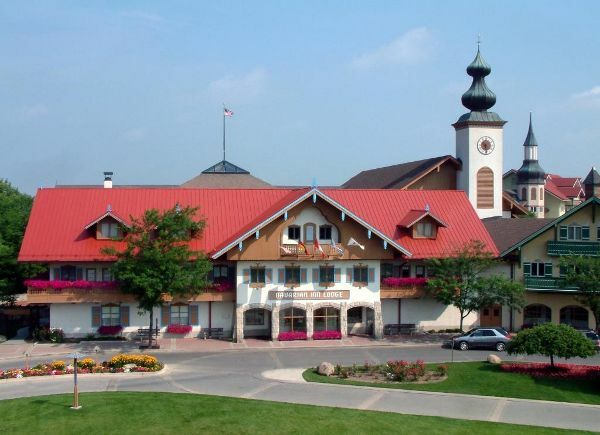 It houses about 150 stunning buildings that feature an exotic blend of Neoclassic, Gothic, and Baroque architecture. A small garden in the center is a favorite of locals who want to enjoy the fresh air. 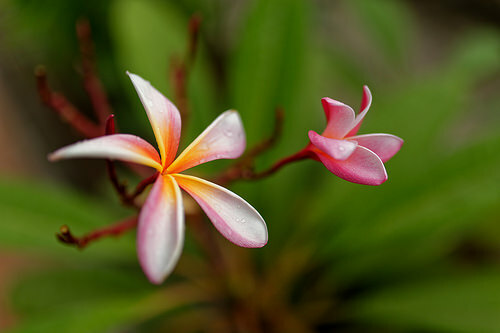 Tree-lined streets and patches of fragrant flowers give Shamian Island a soothing feel and slower pace. The southwest side of the island overlooks the popular Pearl River and features several cafes and bars. The best way to experience Shamian Island is on foot without an agenda. This tiny island just begs for leisurely exploration. 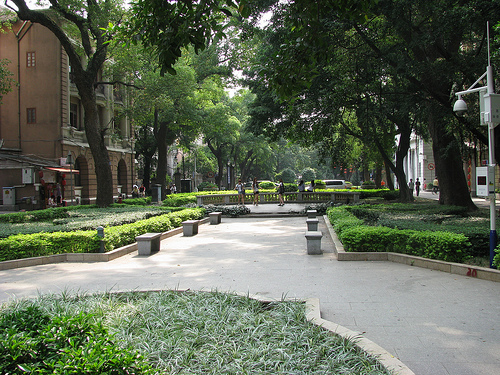 Spend an afternoon in Yuntai Garden and you’ll understand why Guangzhou is also known as Flower City. This stunning garden is located in Santailing Park on the north side of White Cloud Mountain. The mountain itself is one of the city’s most treasured wonders. The Yuntai Garden is one of the most breathtaking highlights on the mountain, with more than 200 types of flowers and 14 scenic spots ideal for taking it all in. Guangzhou is one of the busiest hubs in China. Whether this is your destination or you’re one of the many travelers just passing through, take a moment to enjoy one of these sights. You’ll be richly rewarded with an unforgettable experience. Playing a guitar is a challenge at first, but once you knew the basic skills that you needed it will just click. My daughter is been very vocal about learning to play guitar. Considering of her age and it's not offered in my area she's enjoying and watching her friends to strum a guitar.The reason she's into guitar because of her teacher in Kindergarten and used it in the music class. I'm impress in the school of my daughter were they showed different type of instruments so the kids has an idea what it sounds like. I found this les paul studio offered different kinds and accessories of guitar. I can't wait to shop something for my daughter once she started to learn. Of equal importance is paying attention to the weather forecast. Unless you want to face stormy waters, beware venturing out into the water until the weather forecast is favorable. 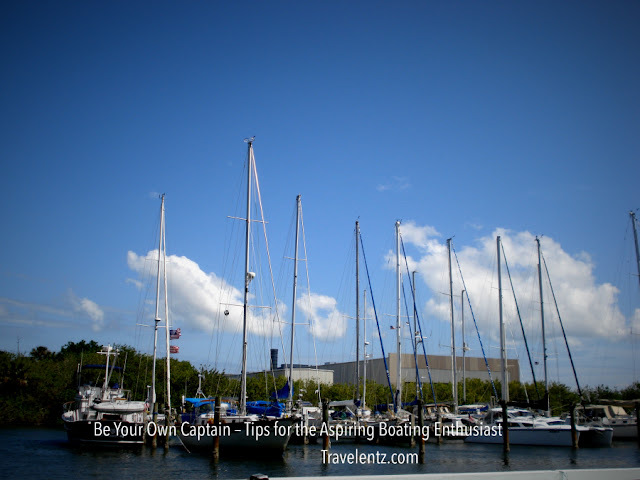 So, always check for weather conditions before taking your boat out and stay alert in case of sudden weather changes. 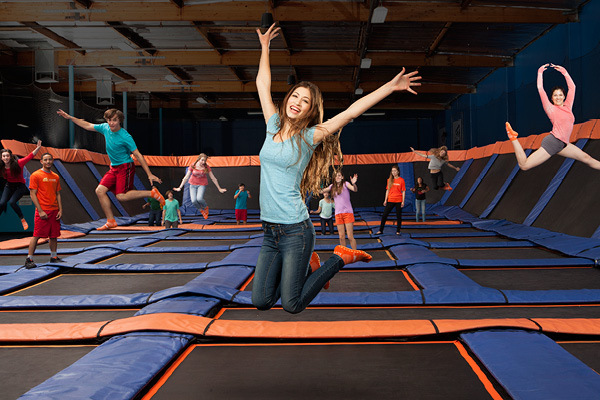 Buy 3 Get the 4th Free, or 10% Off a Birthday Party - Purchase Three  One-Hour jumps and Get a Fourth  FREE! 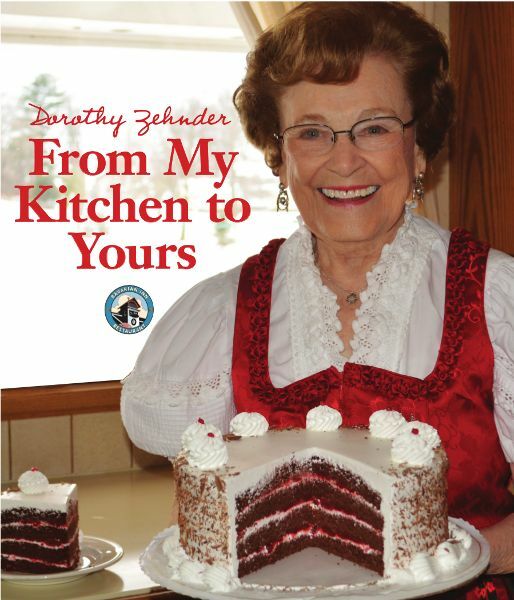 This offer is good for purchases at the counter (not available with online purchase). Availability is subject to available capacity. The offer is valid for four jumpers during one session. Must present coupon at the time of purchase. OR: 10% off any birthday party package price! Must present the coupon at the time of arrival. 4. Embracing new culture-I explained to my daughter, that her coach is from British and showed her the Globe where he lives. Being an expatriate and has experience in different culture is amazing. 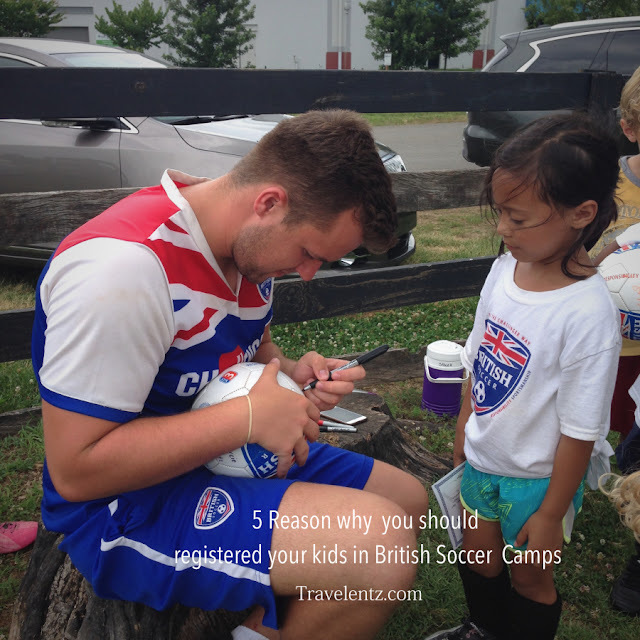 I'm glad, I don't need to send my daughter in other country to experience new culture.She learns new culture in one week in her British soccer camps. 5. 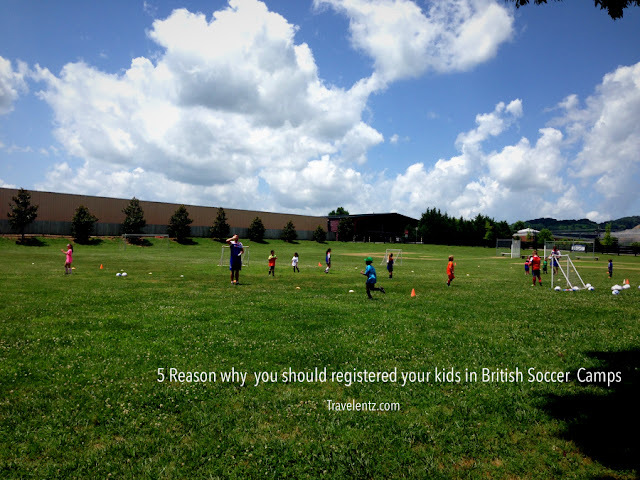 Fun, learn and make new friends- Playing soccer is about a team. You'll get to know your team and make friends. My daughter met a new friends in British soccer camp and she lives closed by in the neighborhood.Yay! for my daughter. Disclosure: Thank you Challenger Sports for the complimentary week long summer camp. However,I will always share my honest opinion about my experience.